Ortho-Mind is a nutritional supplement that claims it will optimize your mental performance by providing powerful nutrients to your brain. 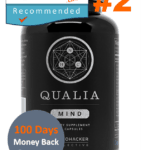 Ortho-Mind appears to be backed by years of scientific research and therefore we were very excited to discover more about this supplement. For not only does Ortho-Mind claim to provide intense cognitive support, but it also claims it will reduce your stress level and mental fatigue and also provide antioxidants and general support for your well being. 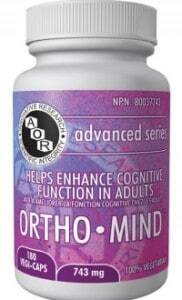 Overall, after just a quick glance, Ortho-Mind seems like a pretty solid supplement. Ortho-Mind is manufactured by Advanced Orthomolecular Research, which is a Canadian-based company that was established during the HIV crisis in the early 1990s and is directed by a medical physician. Advanced Orthomolecular Research sells numerous health supplement products focusing on an array of health issues ranging from ageing to mood to mental health and weight management. Their products are broken up into series, including NOx, Advanced, Ayurved, Classic, Nanoavailable, and Advanced Topicals. Ortho-Mind is part of the Advanced series. Advanced Orthomolecular Research partners with several retailers across Canada to sell Ortho-Mind. 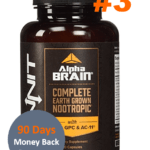 On their website, Advanced Orthomolecular Research provides information about the purpose of nootropics and a link to several different webinars and magazines regarding fitness and well being. Ortho-Mind also provides their address and a photo of their headquarters, a list of their research and accomplishments, and different ways customers can reach out for help or with questions. We found Ortho-Mind on Amazon for $43.98 (USD) and on vitasave.ca for $41.99 (USD). 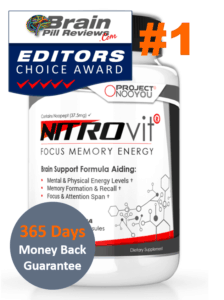 Advanced Orthomolecular Research suggests taking two capsules three times daily. One bottle contains 180 capsules, so it would last you about a month. The first ingredient in Ortho-Mind is R(+)-lipoid acid, or alpha-lipoic acid. Alpha-lipoic acid is an antioxidant which they have in foods such as kidney, spinach, and certain vegetables. 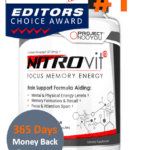 It prevents cell damage and improves the function of neurons. Diabetics take alpha-lipoic acid to help with their nerve pain and others take it to help with memory loss. Ortho-Mind also includes citicoline, and they have developed citicoline with Japanese chemical originally to treat stroke victims. 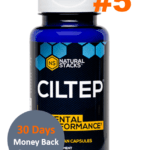 Citicoline increases the brain chemical phosphatidylcholine, which is important for brain function and is also may decrease brain damage. 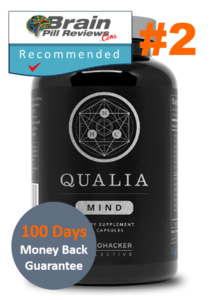 Other ingredients include bacopa, which is an Indian herb that reduces anxiety but also aids with comprehension and memory recall and also panax ginseng, which they use for centuries to relieve stress and promote a general sense of wellbeing. 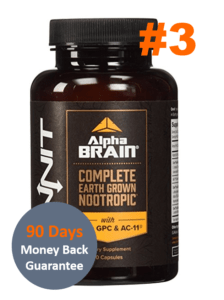 There is also acetyl l-carnitine (ALCAR), which increases the production of energy in the mitochondria of cells and may improve your nervous and muscular function, and arginine pyroglutamate, which is a compound of arginine and pyroglutamate. Pyroglutamate is an amino acid that promotes blood flow and better oxygen delivery throughout the body. We researched arginine, although we couldn’t much information about it. 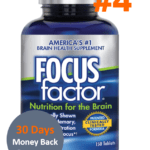 But the combination of the two is thought to increase your memory recall and improve long-term memory. One more ingredient is vitamin B5 (pantothenic acid). Vitamin B5 is an essential water soluble nutrient that helps you metabolise certain chemicals in your body. Deficiencies in B5 are rare, so they rarely advise supplementation. They have listed exact amounts of each ingredient. We didn’t quite understand the arginine pyroglutamate ingredient, especially the purpose of arginine. We also didn’t understand why they have included B5, especially since deficiencies are rare.